Welcome to Kindred Beings insightful pages. Check back regularly as we add new content often. The crown chakra is your connection to universal energy. Opening and balancing this chakra enables one to transcend and communicate with higher realms. 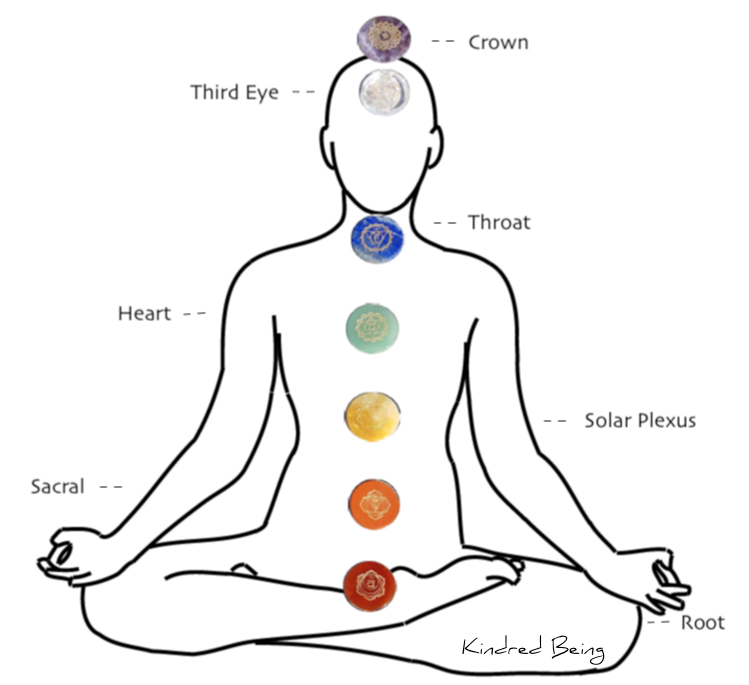 A balanced third eye chakra allows one to develop psychic abilities and the “second sight”. It can connect you to your other senses of telepathy, and clairvoyance. Your throat chakra, when balanced, can assist you in speaking your truth and in clear communication in all aspects of your life. The Heart chakra connects you to love, compassion and empathy. It assists you in respecting and finding beauty in the world around you. Solar Plexus Chakra - The Solar Plexus Chakra is the seat of your personal power. It’s where your will and personality reside. When opened and balanced, it allows one to feel more confident, self reliant, and full of energy. The sacral chakra encompasses one’s desires, sexuality, and your enjoyment of the world around you. When open and balanced, your relationships with others and your environment will be harmonious. The root chakra is where you receive your connection with the earth. When your root chakra is open and balanced, you feel strong, grounded, and safe. Crystals need to be cleared after acquiring to clear the energy of past persons who have come into contact with the crystal. This includes persons who were involved in the harvesting, preparing, transporting, selling, and shipment of the crystal. If a crystal is not cleared it will retain energy from all of these sources. Once you have acquired a crystal, you will want to clear it of these energies to then be able to attune it for the use you desire. If the crystal has been used before you acquire it, the intentions and programming having been set on the crystal may not be in tune with your own desired uses. For all of these reasons, clearing is recommended for most Crystals. There are many ways in which to clear a crystal or stone. We will discuss the ways in which Kindred Being recommends. Use the smoke from burning herbs to clear a crystal. Light and then blow out the fire of the desired herb to create smoke. Pass the stone or crystal through the smoke or fan the smoke onto the crystal for clearing insuring that the crystal has been completely bathed in the smoke. Suggested herbs for this practice are white and black sage. By using smudging for crystal cleansing, you are using the elemental energy of fire for purification. There are a few crystals which clear other crystals and stones. Some of these are Carnelian, Citrine, and Clear Quartz. Place these crystals close to the crystal that you wish to clear. Placing them on top or touching the clearing stone is preferred but getting them close enough for the stone's auras to touch will also work. Clear Quartz when cleared and charged it's self, is an ideal crystal to use for this purpose as it also charges your crystal. Place the crystal in contact with the clearing crystal for twenty four to forty eight hours. Many crystals may fade with sun exposure such as Amethyst and Celestite so please be sure that your crystal is not adversely affected by sunlight before using this method. Using the sun to clear a crystal is very beneficial for not only clearing but charging as well. The energy from our life giver, the sun, clears your crystals and then charges them allowing them to be ready for use. Place your crystal in the sun for a day to a week to clear and charge. The moon's energy can be used for both clearing and charging your crystals. The energy of the moon is a more subtle way to clear and charge when compared to the sun. For this reason, using the energy of the full moon is recommended. Once a month, place your crystal collection outside under the full moon. Insure that your crystals are placed in direct moon light and leave them over night. This method can be used for all crystals. It is recommended that the crystals be retrieved before dawn. We recommend this option for persons practiced in controlling their own energy. To clear a crystal with your own energy, visually imagine a white light surrounding your crystal and clearing it of all past persons. Use mental or verbal words to aid you in this practice such as "cleanse", "clear", and "renew". You will feel when the crystal has been properly cleared. Burying crystals returns the crystals to the earth from which they were formed. The healing and transmuting energies of the earth absorbs the previous energies imprinted on to the crystal, clearing it and allowing it to be used anew. Crystals can be buried in earth or sand. If you do not have access to or decide not to bury them in an outdoor space, consider using a planting pot. If you are able to bury them in outdoor space, make sure that you mark the position for convenient retrieval. Stones and crystals should remain buried for three days up to one week. By using burial for crystal clearing you are using the elemental energy of the earth for purification. Many crystals and stones may be cleared under cool clear running water. It is important that you check to insure your crystal is not water soluble before using this option. The temperature of the water is also important. If the running water is too hot or cold, it may damage your crystal. Use fresh rain water, or fresh spring water where available. If these options are not convenient, tap water can be used. There is no accepted time period for which to flow water over your crystal but we suggest several minutes. If you are near fresh running water securing your crystals in a running stream or river for several minutes is ideal. By using running water to clear your crystal, you are using the elemental energy of water for purification. Kindred Being most often uses moon energy, smudging, crystal, and personal energy for clearing the crystals that we offer to our customers. This is the first step to preparing them for use by fellow Kindred Beings. For indigenous cultures, the varied species of birds and feathers hold symbolistic meanings. These feathers are used for adornments and ritualistic ceremonies. These meanings are used to this day for the attributed energies they symbolize. Enjoy the few examples we have listed below. 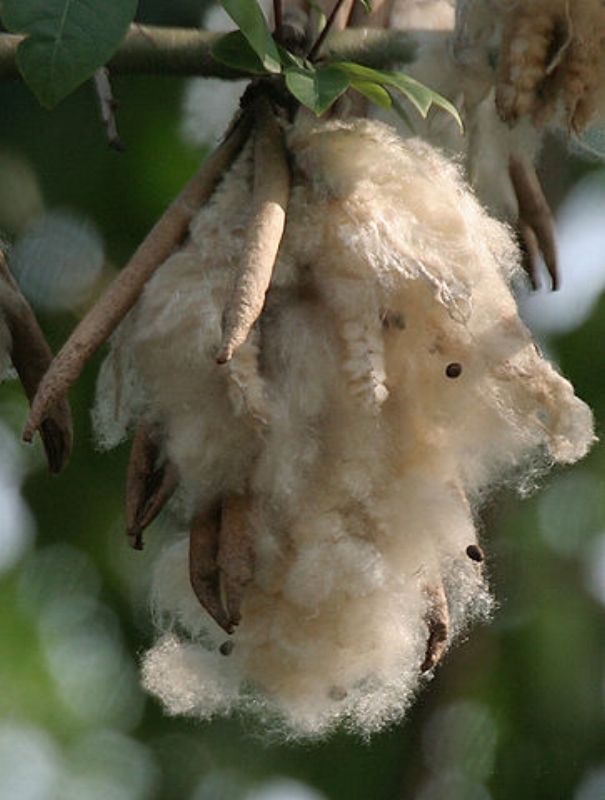 Kapok Fibers Are 100% Natural Fibers Harvested From The Kapok Or Ceiba Pentandra Tree. This Tree Is Among The Largest In The World. One Tree Produces Hundreds Of 5.9 Inch Seed Pods Filled With Seeds Surrounded By A Fluffy Yellowish Fiber Similar To Cotton. These Fibers Are Very Light Weight, Resilient, And Water Resistant. This Fiber Has Been Used For Centuries As Fill For Cushions, Mattresses, Zafus, and Zabutons. Kapok Fibers Provide Sturdy Support As Well As Comfortable Cushion. The Majority Of Meditation Cushions Throughout The World Are Filled With Natural Kapok Fiber. The use of a pendulum sparked my personal Kindred Journey. The pendulum enabled me to identify and cultivate relationships with my Spirit Guides. It is a trusted tool for communicating with higher frequency beings. Until you have developed clairaudience, or clairvoyance, the use of a pendulum may be the main tool used to receive clear messages and answers. There are many varied types of pendulums available. There exists too many to mention in this article. The most important aspect of choosing a pendulum is selecting the pendulum that speaks to you. When you find a pendulum that speaks to you, you will know it. If you find your eyes returning to the same pendulum again and again, then that is the pendulum for you. Whether your pendulum is metal or crystal is up to you as well. The possibilities and combinations are endless. Many persons choose metal pendulums for the conductivity of the metal. 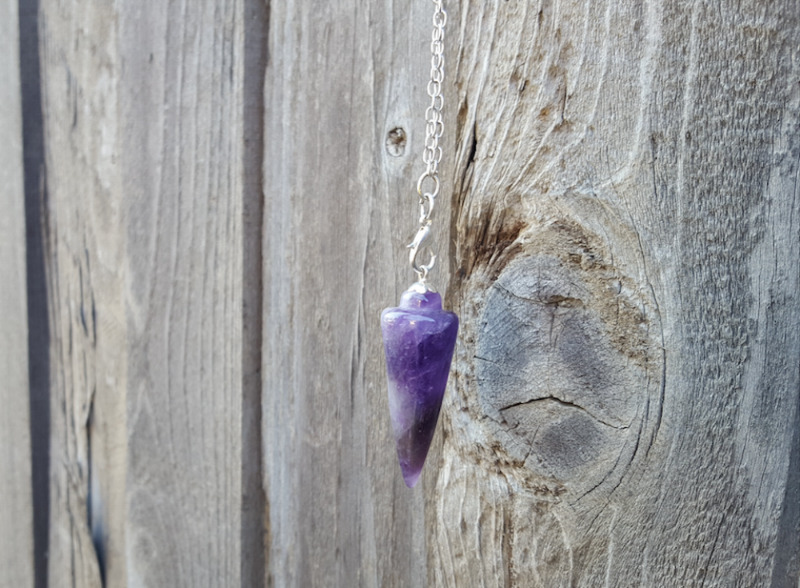 Some choose crystal pendulums for the specific attributes of the crystal. We can get into those depths at a later date but you will never go wrong if you pick the pendulum that calls to you. Many persons involve themselves in rituals to ready themselves for pendulum communication. Communications are only limited by our own minds. In the past, rituals may have been necessary but we are now in a new age where all answers are available and awaiting us. Your Guides know you and will be willing to communicate with you when YOU are ready. If participating in a ritual such as lighting a candle, or saying a prayer readies your mind for communication, then it is the right choice for you. Spirit Guides do not require it. Personally, when I have time, I ready myself for a communication by releasing fear from my body, and activating my chakras. When in a hurry, I have often jumped right into communication with no precursor. When using a pendulum hold the chain of the pendulum several inches above where it meets the pendulum bobble using your thumb and index finger. Use whichever hand is comfortable for you. Hold your wrist slack and support your elbow. Center the point of the pendulum either in the center of your palm, if using your palm, or in the center of the pendulum chart if using a chart. There are other methods for using a pendulum but for the purpose of this article we will focus on this method. Then begin to ask your questions. Often during pendulum communications, I will feel the muscles of my hands, wrist, and sometimes my arm moving involuntarily to produce answers. These muscle movements are my Guides using my own body to produce messages. I love this method because you can use it anywhere! This is a method I prefer when in a hurry or looking for a quick yes or no answer. Hold one palm flat up towards the sky. Starting from the center of your palm, establish which direction is a yes for you and your guides. Do this by simply saying either in your mind or out loud, "show me yes". The pendulum will then swing in a direction towards one of your fingers. Take note of toward which finger the pendulum swings. After you have noted toward which finger a "yes" swing is, ask your guides to center the pendulum to start again by saying either in your mind or aloud "center please". Your pendulum should then center on your palm again and cease moving. Repeat this process for finding the direction for a "No" swing. If your pendulum doesn't swing enough to make out a direction, simply ask your guides to "show you a bigger swing so that the answers are clear". This may take practice and time for your Guides to understand the type of communication you are seeking. It takes work to train both yourself and your Guides in using this as a communication tool. If the swing directions of your "yes" and "no" are close together and not easily defined, you may set towards which finger is a "yes" and which is a "no". Simply tell your guides towards which finger you would like to be a "yes" and towards which you would like to be a "no", and then ask your Guides to "show you a yes" and then "show you a no". This may need to be practiced until you and your Guides are in sync. For instance my Guides and I use the direction from the center of my left palm towards my index finger as a "yes" and from the center of my palm to my thumb as a "no" answer. Once you have firmly established your "Yes" and "No", you can begin asking questions. It's amazing how many questions can be answered by a simple yes or no. I have found that if the pendulum does not move from the center of my palm, I reword the question to be more specific. Sometimes I will do this several times until my question and the answers are clear. Your Guides will not understand your question fully if you do not. Be clear in your mind of the specifics of the question before asking for an answer. Use a pendulum chart to get more detailed answers than "yes" and "no". Using a pendulum chart is a great way to get direct messages from your guides. You can receive words or sentences, or even paragraphs of written information this way. My personal first step in communication was to identify my Guides, their "names" and their roles for me in this incarnation. Through this method I have identified my Guides for health, business/finances, relationships, spiritual enlightenment, and my messenger Guide to name just a few. You can purchase a pendulum chart for use or you can make your own. I have made many pendulum charts and have established a method that works best for my Guides and I. I use the english alphabet A-Z to receive my answers. I start by drawing a half circle on a unlined piece of paper. I then find the bottom center of the circle along the flat side. The arch of the circle is facing away from you. Then the half circle is divided into twenty nine sections all meeting at the designated bottom center of the circle. The alphabet is written in the top of the individual sections from left to right. In the remaining three sections, I write an underscore "_" for a "space" option, a number sign "#" for numbers, and an arrow pointing to the left for a "back" section. This is the best system for me but you may find your own system that works better for you and your Guides. Hold the pendulum in the center position and ask one question at a time. As the pendulum swings towards a letter, write it down. If you are unsure which letter the pendulum is swinging towards, select the letters that the pendulum may be swinging towards. Then ask in turn if this was the letter your guides were selecting for your answer. Personally, I choose two to three letters near each other that could be the correct letter, I then use my palm for "yes" and "no's" to quickly ascertain which letter is the correct choice. My Guides and I are trained to use the underscore "_" or "space" section in between words or to signify the end of a thought or sentence. One space is the end of a word and two spaces are the end of a thought or sentence. Even while using this method, there are times when a letter is selected mistakenly. When this happens, my Guides use the "back" section or the left facing arrow. When they select the "back" section once, I know to go back and start over with the last letter I have written down. If the "back" section is selected two times consecutively, I then go back and restart the entire word. This process can be tedious but with practice it gets much easier. Draw another smaller chart of numbers one through nine with a "_" or "space", a "back", and an "A-Z" section. There should be twelve sections total on this chart. You can draw this on a separate piece of paper or on the back of the larger "A-Z" chart. I choose to draw this on the back side of my larger chart that way I can take one piece of paper with me for use anywhere. If there are numbers involved in the message from my Guides, they will select the "#" section of the "A-Z" chart. I then switch to the number chart to select the appropriate numbers. When my guides are finished using numbers, they select the "A-Z" section and we move back to the larger chart. This may happen quite often while first incorporating pendulum communications. You may begin by receiving message that include never ending x's, q's, z's and the like spelling out nonsensical words that no google search can define meaning for. Think of this as a "practice" for your Guides. This means that "rules of communication" may need to be set with your Guides. In the beginning, I needed to often reiterate the vital "rule" of communicating in todays english, a language that I understand. Another important "rule" I needed to establish was to use the "_" or "space" section in between words. This allowed me to receive clear answers in a way that I could best understand. When establishing "rules" of communication with your Guides, it is important to speak to your Guides respectfully but also to be completely clear as to your needs during your communications. This will greatly aid the process and allow you to receive clear answers and messages. If I have no particular question for my Guides, I often ask an open question. I suggest asking this question often or if you have not communicated in some time. First I ask using my palm if there is an important message for me. If the answer is "yes", I ask if this message can be received via the "A-Z" chart. If the answer is "yes" again, I move to the chart. 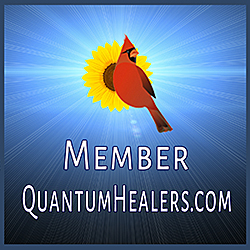 This is a great way to receive important messages that your Guides have for you now. It may be a good practice to start all communications in this way so as to understand important messages first. Also, if you do not ask this first, you may not be able to receive answers to the questions that you want to ask. Your Guides might set aside your questions until this important message is received and understood. After receiving an answer, I often ask which Guide I am receiving this message from. This allows me to put the answer or message into proper context. For instance, if I get a message to "clear out old", it would have a very different meaning coming from my health Guide as opposed to my business/finance Guide. If a message is unclear, it may be necessary to ask further follow up questions. Continue to ask for clarification on a word or message until it makes sense to you. If you are still unable to pull meaning from a message, don't be afraid to put it aside for the moment and come back to the question at a later time or date. Your Spirit Guides are well versed in all matters pertaining to you. Your Guides have either been chosen for you or by you. You have many Spirit Guides. Some may be new and some may have been with you since the very beginning. You may have Guides that come in and out during this lifetime to assist you during certain times. Your Guides may have known you before this incarnation and throughout other lifetimes. They are aware of what will fulfill you and soothe your desires. They want you to make the most of this incarnation and to live up to your full potential and find your true life path. Your Guides will do everything they can to help you to attain these goals. Spirit Guides can not for tell the future. This statement is not completely true and must be explained. This concept took some time for me to understand fully. I will attempt to explain. Spirit Guides exist on a different plane than we do. Time does not exist for them in the way it does for us. They indeed can see the future of our lifetime, but they see many futures. Meaning that for each decision that we make, exercising our free will, the possibilities for the future change. There is an infinite number of possible futures for us. Every decision that we make, brings us closer to A future. Your Spirit Guides can calculate which future is the most likely, and they can do their best to Guide you towards a future of fulfillment, but ultimately, the choice is yours. You can change the direction of your life at any time. Because of this, you may get answers that do not make sense to you and may never make sense. This could be because you are getting an answer for your possible future that may never be experienced. When receiving Spirit Guide messages, this is a vital aspect to understand. You may sometimes get discouraged if this concept is not understood fully. By simply visiting the Kindred Being website and taking the time to read this blog, you are sending a message to your Guides of readiness. You are letting your Guides know that you are open and ready to get to know them and receive their messages. You can receive messages from your Guides in many different ways. We will discuss these other ways in future articles. The concept that the messages you are receiving are indeed from beings on a different plane, can be a very exciting one! Rest assured that you have taken the first step and the journey before you is limitless. Smudging is a traditional Ceremony used to cleanse and clear energy in a space. It has been recognized and adopted by modern society for it's unmatched mystical value. Smudging is the burning of plants and herbs in ceremonies designed to accomplish varied purposes such as cleansing or blessing. The typical items used to Smudge include plants or herbs to burn, a smudge bowl, and a smudge fan. All four elements are represented during rituals. Smudge bowls are customarily either abalone shell or ceramic bowls used to catch burning embers, to hold burning herbs, and to store used smudge sticks. Smudge bowls are filled with sand or similar substances to protect the bowl from heated or burning herbs and smudge sticks. In ceremonial rituals, the shell bowl is representative of the element of water. Smudge sticks are bound herbs which are lit to create smoke. The smoke is then used to accomplish the purpose of the ritual. Typically used herbs include varieties of sage, lavender, cedar, palo santo, sweet grass, and pine needles to name just a few. The type of smudge stick correlates to the purpose of the ceremony. Before a herb or smudge stick is lit, it represents the element of earth. After ignition, the herb or smudge stick represents the element of fire. Smudge fans are traditionally fans made from natural feathers. These can include one or more feathers and can be enhanced with decorative embellishments. 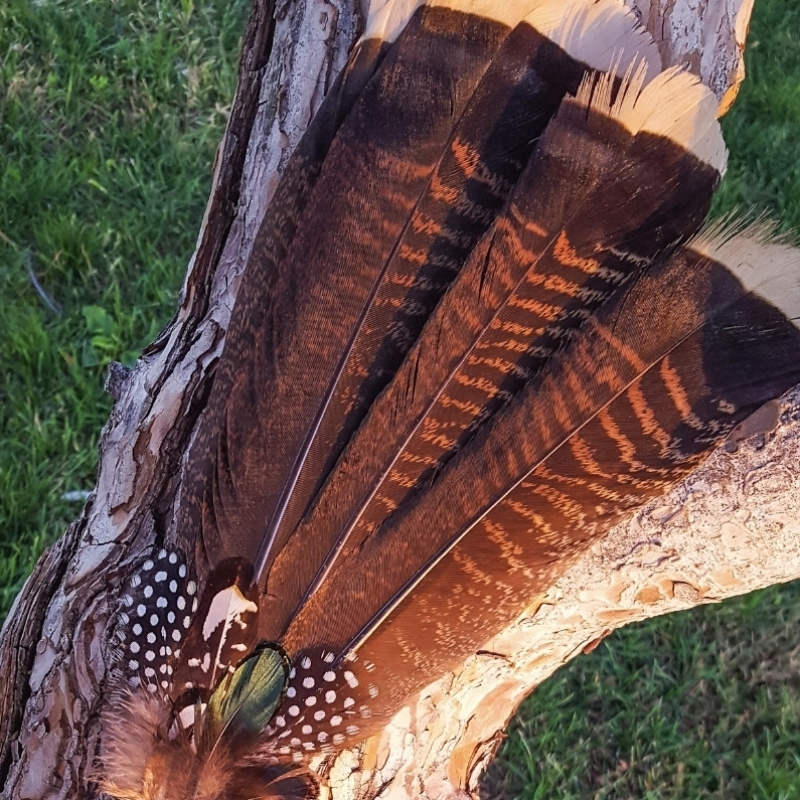 The underside of the fan (the underside of the feathers or the side which would be pointing towards the earth when a bird is flying) is used to fan the smoke to the desired areas. The smudge fan is representative of the element of air. "May your hands be cleansed that they create beautiful things." "May your feet be cleansed that they take you where you most need to be." "May your heart be cleansed that you might hear it's messages clearly." "May your throat be cleansed that you might speak rightly when words are needed." "May your eyes be cleansed that you might see the signs and wonders of the world." "May this person and space be washed clean by the smoke of these fragrant plants." "And may that smoke carry our prayers spiraling to the heavens." Using a mala is one of my favorite forms of meditation. A mala is a string of 27 or 108 wood beads. The beads are used to keep count of a mantra used during meditation. Using a mala with 27 beads is said to be effective for spiritual progress. A 108 bead mala is for fulfillment. These beads are strung together with what is called a guru bead. This is a bead that differs from the others in shape. Traditionally there is an addition of a tassel on this bead. This bead is used to tell the user by feel when they have completed the cycle of the mala. To begin, you must choose your mantra. Start with a simple mantra that can be easily repeated and remembered. To choose your mantra, decide what you could use most in this incarnation. To get to the simplest form of this answer, say the first thing that comes to mind. Then ask yourself why. Continue asking why until you have gotten to the real answer. Question: Why do I want success? Answer: To make my loved ones proud. Question: Why must I be successful to feel worthy of love? Answer: I don’t feel that I am enough. Once you have decided your mantra, sit comfortably with your spine straight. Use back support if necessary. Hold your mala in your right hand. Close your eyes. Start at the guru bead. As you use your thumb to bring down each bead, chant your mantra. You can do this verbally or mentally. As you repeat your mantra from bead to bead, focus on the words and let go of everything else. Once you have made it back to the guru bead, take a moment to reflect, and open your eyes when you are ready. Try this method as often as you like. I recommend once a day for 40 days. It is said that it takes 20 consecutive days to break a habit and 20 to form new ones. In this way we can change the way we think and the way our brains work. We can actively choose the type of thoughts that inhabit our minds.